Wheel alignment giant Hunter Engineering has worked hard over the past year to raise aftermarket awareness of new OEM calibration demands following what had previously been a simple wheel alignment. Without such calibration, key safety systems — including at least one required by the feds — could be operating on incorrect information, leading to potentially disastrous results. 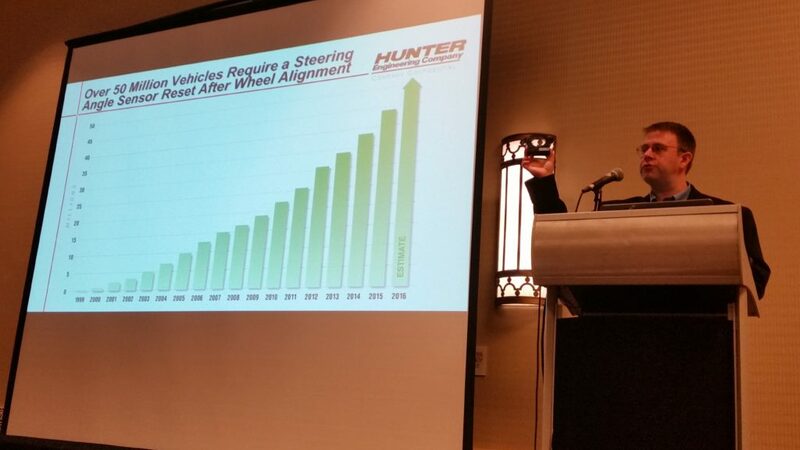 For example, seven of the top 10 vehicles on U.S. roads in 2015 needed a reset of a standard or optional electronic stability control system — technology required on every model since the 2012 model year because of the safety benefits — following a wheel alignment, Hunter Engineering research has found. Such recalibrations can also be necessary following an alignment, on systems like lane depature warning and automatic lane keeping, adaptive cruise control, electric power steering and forward collision warning and autobraking, according to Hunter. 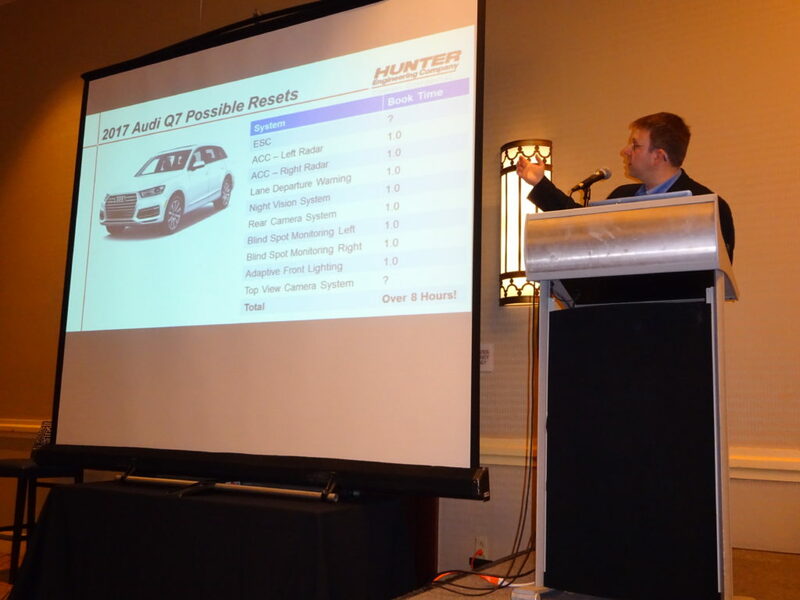 During an April Repairer Roundtable, Hunter Engineering senior product manager Kaleb Silver pointed out that shops will also have to recalibrate these systems after any part replacement. A good sense of what might be required can be found in a series of videos Hunter posted this summer related to its aftermarket calibration offerings. 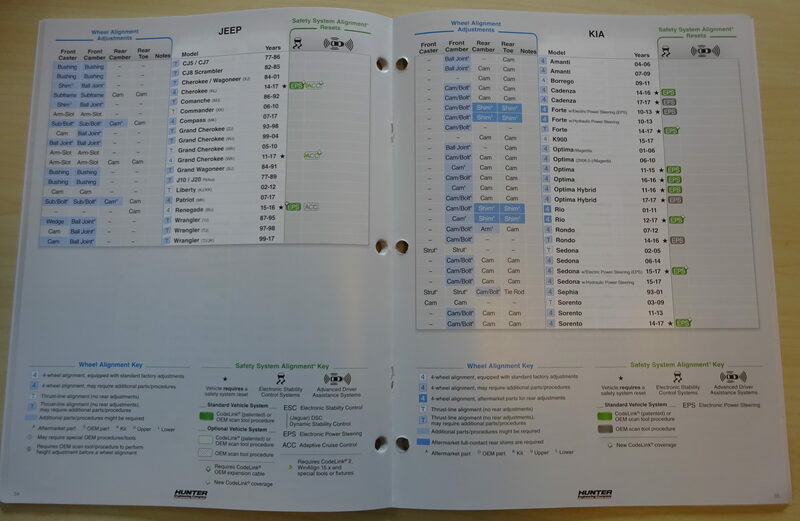 As always, the usual caveat: OEM tools are the only ones guaranteed to work as the manufacturer intended. 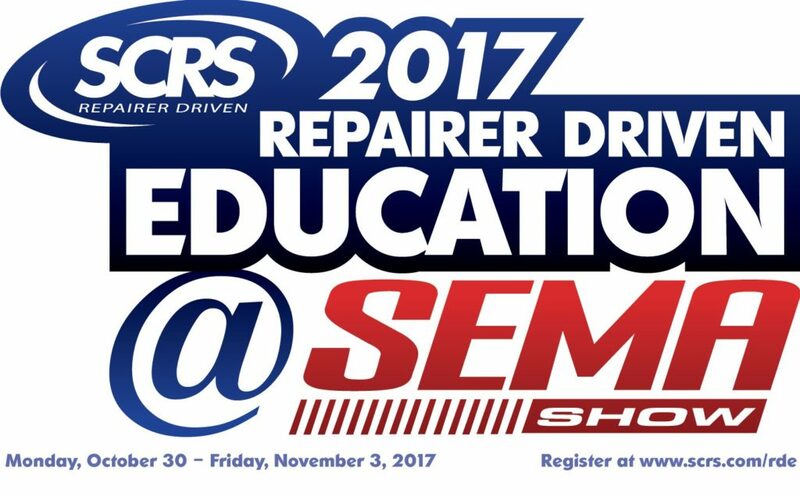 A good starting point for learning about what ADAS will mean for your shop and customers will be “The Impact of Advanced Vehicle Systems on Routine Repair Process and Procedure,” which runs 11 a.m.-12:30 p.m. Nov. 2 during the Society of Collision Repair Specialists’ OEM Collision Repair Technology Summit at SEMA. Silver will moderate a panel including Auto Care Association regulatory and government affairs Senior Vice President Aaron Lowe, who might have some interesting details to share about how regulators see the aftermarket with regard to ADAS or even autonomous vehicles; Honda collision assistant manager Scott Kaboos, whose OEM is sending thousands of new cars with ADAS on the road and into your shops and pledges freeway autonomy by 2020; and Dean McConnell, director of the Continental ADAS business unit, global customer programs, and NAFTA OEMs chassis & safety division, whose Tier 1 company invents much of the technology being incorporated by OEMs. Paying for all this stuff: Silver earlier discussed with us the lack of uniformity between OEMs on recalibration procedures and equipment and the difficulty some shops might have in securing the space to perform the work. 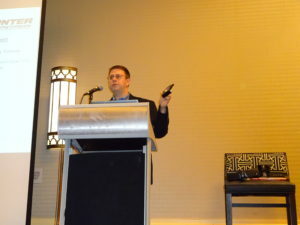 During his April presentation, he was asked what a reasonable amortization rate would be on a repairer’s bills? After all, the equipment for an 2017 Audi Q7 cost $18,000 were a shop to buy it all from scratch. Silver said that most shops tend to amortize their equipment over about seven years. However, the major tools in that Q7 recalibration suite haven’t changed since 2004, and the entire suite together would work for every make in the Volkswagen suite of vehicles (VW, Audi, Porsche, etc. ), according to Silver. Vehicle modifications: Asked about the absence of tire size and pressure checks in his videos, Silver said he did them with the assumption that these variables had already been verified during the alignment. While the tire pressure is easy to address, the tire size and other modifications could be a greater headache for a shop. Asked about doing collision repair work in a rural area full of trucks which have winches or larger tires or had been lifted — all of which potentially could alter how a safety system “sees” the world — Silver said Hunter recommends working on vehicles which are at factory specs. “We don’t create our own specs,” Silver said. He said Hunter does have a process for calculating specs for a modified vehicle, but it’s time-consuming and not popular. Which systems exist: You’re probably going to need build data or information pulled from a scan to determine all the systems which need to be checked and recalibrated following a collision, according to Silver. However, a starting point at least would be Hunter’s Form 1708-T, which Silver said any Hunter rep could give a shop. The document is a cheat sheet for both wheel alignments and which safety systems need to be reset following an alignment. “You want to call your Hunter rep and get that now,” Vehicle Collision Experts CEO Mark Olson, a former Hunter trainer, said during the event. Was it even done right? : Asked about proof that an alignment sublet out to a third party included the necessary recalibrations, Silver said Hunter’s alignment technology has a means of printing out whether that work was done. However, he said he couldn’t speak for other manufacturers and suggested the collision repairer ask their alignment firm for documentation and their qualifications for performing the work. “XYZ Tire Company probably doesn’t even know what we’re talking about,” Olson warned. What if you’re buying a certified used car? Could a dealership know if the recalibrations were done correctly under the prior owner? Silver said he wasn’t aware of any way of vetting that they had been done right short of recalibrating the car oneself. “That’s a missing part of things, in my opinion,” he said. How long? : Asked about how long such recalibrations took, Silver said a wheel alignment is about 30 minutes, and many resets related to it take at least that long. He also displayed a slide showing how multiple recalibrations on the Q7 each technically were linked to an hour of book time.